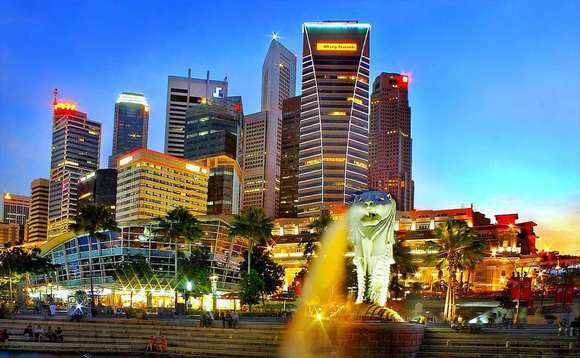 Crossbridge Capital, a London-headquartered investment advisory firm specialising in looking after ultra-high-net-worth families globally, has launched what it says is Singapore’s first “digital advisory platform” for accredited investors. Connect by Crossbridge, as the platform is called, was developed in collaboration with Morningstar, BNY Mellon’s Pershing, Julius Baer and Bambu, and is described by the company as “an intuitive digital platform offering tailored investment strategies to accredited investors living in Singapore”. The company, which in Singapore is regulated by the city-state’s Monetary Authority, uses the Monetary Authority of Singapore’s definition of accredited investors as individuals “whose net personal assets exceed S$2m (£1.17m, US$1.44m, €1.3m), or whose income in the preceding 12 months is not less than S$300,000”. In a statement announcing the new platform, Crossbridge Capital called attention to the fact its custodian will be a US-regulated entity – Pershing – and that for this reason, it will be useable by US expatriate investors, which, Crossbridge Capital partner and head of digital strategy and distribution Charlie O’Flaherty noted, is a significant marketing advantage in the offshore marketplace. Because of the tax reporting complexities involved in having American expat clients, and the need to provide them with US-regulator-friendly products, few non-US financial services firms are willing to have American expats as clients. “While Connect is designed with all accredited investors in mind, our collaboration with Pershing will allow us to offer US expatriates the same access to the intelligent and intuitive portfolios available on our new platform [as we offer to investors of other nationalities],” he said. 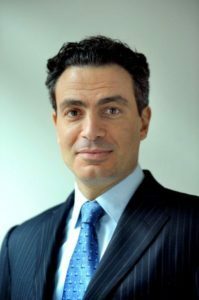 Tarek Khlat, co-founder and chief executive of Crossbridge (pictured), noted that Singapore was an ideal place to locate a digital platform for investors because it is “a globally significant wealth management and financial technology centre, with a growing base of affluent investors who are increasingly digitally-inclined”. Crossbridge Capital was founded in London in 2008. Today, it operates out of offices there, in Singapore – where it has been present since 2010 – and, since March, Monaco, and globally has around US$3bn under advisement.